When Malaysia’s Election Commission announced that polling day would be on 9 May, a Wednesday, the criticism was swift and fierce. A weekday vote, though unusual, is not unprecedented in the country, but the decision was nonetheless alleged to be a move to impact voter turnout and skew the playing field in favour of the ruling coalition Barisan Nasional (BN). Even though the day has since been declared a public holiday, a mid-week vote still presents a logistical headache for the multitudes of Malaysians living and working outside their hometowns. Shortly after the Election Commission’s announcement, the cost of flights from Singapore or the Peninsular Malaysia’s urbanised west coast to smaller towns and rural areas within the Peninsular or in East Malaysia began to climb in response to demand. By 11 April, signs declaring “Semua tiket untuk May 8 dan 9 sudah habis (All tickets for May 8 and 9 sold out)” were posted at all inter-city railway ticket booths in KL Sentral. The rapidly rising cost of transport options bothered 27-year-old Sarah*, who lives in Kuala Lumpur but votes in Miri, Sarawak. Although all major carriers began offering fixed prices after public criticism, she pointed out that for many Sarawakians, the travel cost “doesn’t end at flight tickets—there’s the transportation to and from airport and also accommodation”, especially if they no longer have family in their hometown. Many Malaysians could be prevented from exercising their right to vote simply for reasons of cost and access to reasonable options. The fight in Malaysia’s 14th general election is a tough one. Prime Minister Najib Razak is still neck-deep in allegations of corruption, particularly in relation to the 1Malaysia Development Berhad scandal. The rising cost of living has also triggered anxiety and unhappiness among the populace. On top of this, the emergence of Mahathir Mohamad—Malaysia’s former premier who’s had an outsized influence on its political scene—from retirement to stand against his former party has introduced variables that’s making BN nervous. The declaration of a mid-week polling day was seen as an attempt by BN to skew the race in its favour; commentators expect the return of rural voters from urban areas—such as Klang Valley, Penang, and Singapore—to bolster the opposition Pakatan Harapan’s (PH) chances. Such voters are expected to be more likely influenced by the opposition-leaning sentiment in the cities than the local party politics of their homes states; making it more difficult for them to cast their ballot could give BN another advantage over their opponents. As Malaysians scrambled to find transportation home, the hashtags #CarpoolGE14 and #PulangMengundi (Return to Vote) started trending on Twitter. Those in need of both financial and logistical aid used the hashtag to crowdfund flights and share transport. The need for sponsors, particularly for flights to and from East Malaysia, soon overwhelmed the informal match-ups taking place on Twitter. Focused on Twitter, #UndiRabu (Wednesday Vote)—also founded by volunteers—started collecting donations from the public to distribute to those in need. The group had an initial target of MYR50,000, but raised MYR65,000 just 24 hours after launch. They stopped collecting funds two weeks later; total donations had reached about MYR195,000. The fund has given more than 800 voters—many of whom are university students voting for the first time—the opportunity to return home to vote. The impact of such a push by ordinary Malaysians to get out the vote is tangible, especially for first-time voters. This election is 23-year-old Ella’s* first time voting in her hometown in Sarawak; she considers voting the “unspoken duty of each Malaysian… [it] doesn’t matter for which party.” As a fresh graduate, the costs of a round trip from Kuala Lumpur to Kuching—which hovered around RM600 shortly after the announcement of the polling date—was beyond her means. She turned to Twitter, and subsequently PulangMengundi.com, for help, and received funding through donors. #PulangMengundi has not occurred in a vacuum; the path to this grassroots effort has been paved by a growing engagement with electoral reform in Malaysia. Since 2007, Bersih, a movement for free and fair elections, has organised street protests that have drawn increasing numbers of participants in a country where peaceful protests are often shut down with excessive force. Malaysians who support Bersih’s demands cut across race and class barriers, and also extends to the diaspora. It also isn’t the first time a campaign to get people home to vote has been launched; Jom Balik Undi (Let’s Go Home To Vote) was launched during the last general election in 2013 amid scepticism over a newly instated overseas voting process. Unlike #PulangMengundi, Jom Balik Undi did not offer voters financial assistance; instead, it encouraged Malaysians residing overseas to fly home to vote. Individual groups of voters self-organised to fund travel costs. By the close of polls during the 2013 election, Jom Balik Undi helped approximately 240 voters to return to Peninsular Malaysia and Borneo from across the world. Hundreds more crossed the Singapore-Malaysia border by public transport and carpools to reach their polling stations, some up to 800km away, in the northern states of Kelantan and Terengganu. While 2013’s efforts emphasised the importance of exercising one’s right to vote, #PulangMengundi has built on it by going beyond encouragement to broad-base facilitation, providing Malaysians with simple platforms to crowdfund and organise. As for working with the rest of civil society, the people behind #PulangMengundi have been transparent about their collaborations with established Malaysian civil society organisations. PulangMengundi.com’s website lists the different organisations they are working with, most notably the KL Selangor Chinese Assembly Hall (KLSCAH), which has been active in various socio-political issues in the country. KLSCAH’s team runs UndiRabu.com, complementing PulangMengundi.com by crowdfunding to help defray travel costs. According to their website, they’ve raised MYR180,934, but their organising has gone beyond just pooling money. The group has also organised 50 buses of 40 seats each, traversing Peninsular Malaysia on 8 and 9 May to get people where they need to be. Arrangements have also been made to help people with disabilities get to polling stations. Although the platform is focused on empowerment instead of partisan mobilisation, Andrew admits the difficulties of remaining neutral, by “steering a fine line between [creating] impact, publicity, and being a target.” It’s a mission that’s been complicated by the cut-and-thrust of politics on social media. A boost for the opposition? 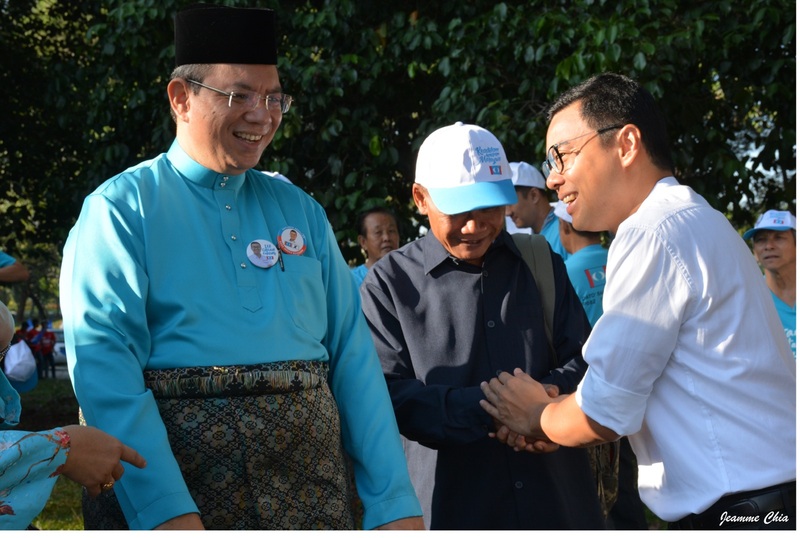 Whether on Twitter or otherwise, #PulangMengundi has stayed largely non-partisan, with the focus on getting people home to vote regardless of their political inclinations. Yet it’s expected that urban Malaysians returning en masse to their more rural constituencies would be a greater benefit to PH than BN. It’s perhaps for this reason that the #PulangMengundi hashtag has now become the target of pro-BN Twitter bots, flooding streams with spam and pro-BN imagery as part of an ongoing social media campaign that has attracted the attention of researchers. Reactions to the Twitter bots range from incredulity to caution. Although some are afraid of personal attacks, Loh believes the existence of the bots means they’re doing something right, and that attempts by cybertroopers to flood the hashtag will only “make Malaysians more angry.” On the other hand, Bustaman says that #UndiRabu has had “minimal encounters with bots”, adding that “[the bots] did not affect our operations nor people’s confidence in what we were doing.” Overall, both PulangMengundi.com and #UndiRabu have not dignified the bots with responses. It’s too early to tell what impact #PulangMengundi will have on the election, or whether it will feed into more long-term political organising in Malaysia; not all the founders are continuing their initiatives post-Polling Day. PulangMengundi.com has publicly committed to delete all data 14 days after the election to protect the privacy of the people who used the site. 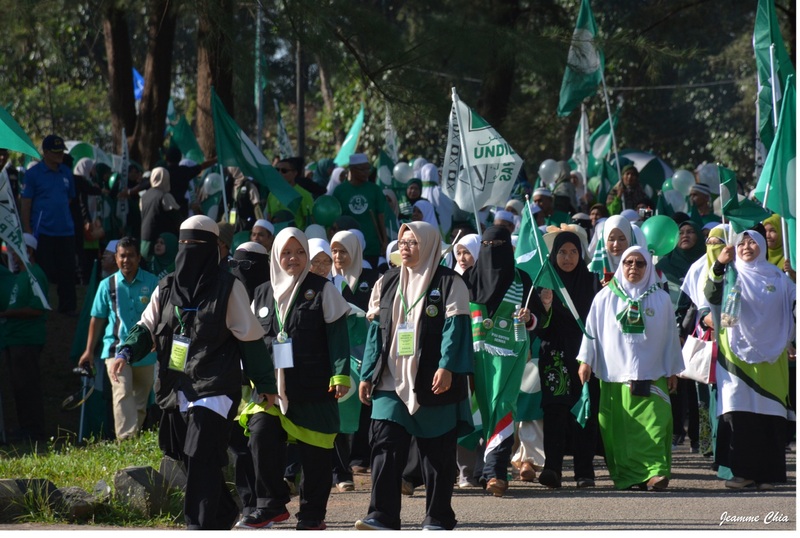 However, the direct action and mutual aid that thousands of Malaysians have participated in and benefited from through #PulangMengundi has uncovered the untapped potential of Malaysians to organise towards tangible short-term goals. There have been many political campaigns and efforts in Malaysia that have fizzled out, but #PulangMengundi could provide a blueprint for building sustainable civic engagement. Jeamme Chia is an independent political economist interested in geospatial, environmental, and socio-economic issues, especially where they intersect with questions of sustainability, equity, and development in Southeast Asia. She grew up immersed in Penang's civil society and activist scene, which is where she cultivated a strong sense of justice and interest in public policy. Her current work is focused on understanding the issues related to the global palm oil supply chain by analysing trade flows, tropical deforestation in key production zones, and socio-economic conditions in primary production zones in Indonesia and Malaysia. Jeamme completed her bachelor's degree at Sarah Lawrence College, where her concentrations were Economics, Environmental Science, and French.